Making punch from passion fruit is a bit different than one is used to. The part of the fruit used is only the small amount of fruity pulp around each seed, and that is only used to flavor the punch and is strained before drinking it. The passion fruit to use for this recipe are from the native purple passion flower vine (Passiflora incarnata). Passion fruit do not ripen all at once and need to be collected at various times throughout the vine’s fruiting season. 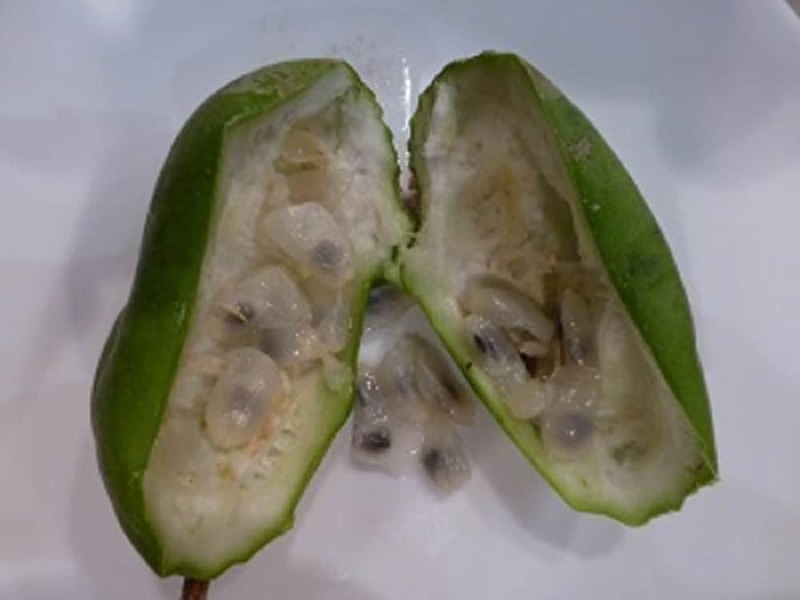 Native passion fruit do not turn bright yellow as the cultivars when ripe and can be collected when still green. The size and softness are the indicator of ripeness rather than the color. Yellow fruit are the most ripe and flavorful, but cannot always be collected in abundance at one time if at all. 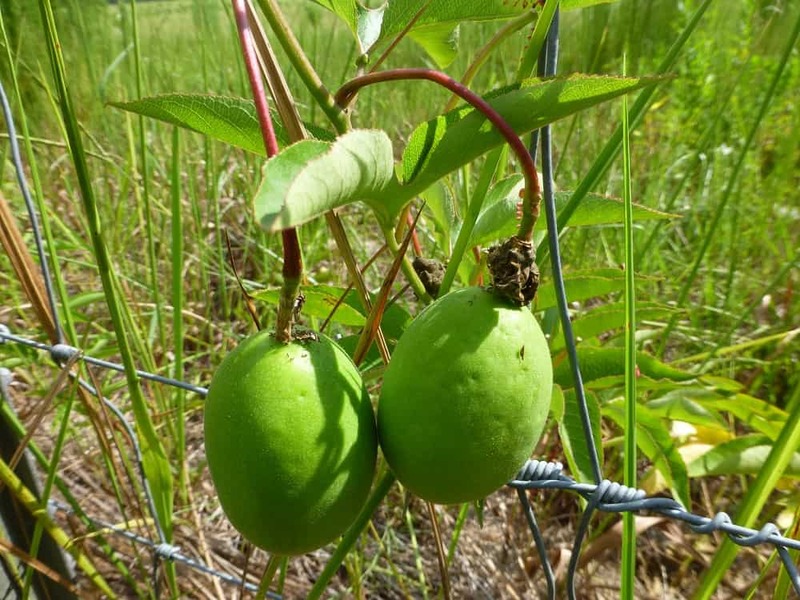 Green fruit, while not ripe to the point of softness, are just about as flavorful so collect these along with any yellow ones that you find. It is best to collect the passion fruit as they ripen on the vine and store in the freezer unless you are lucky enough to have tons of fruit to choose from. When freezing the fruit it is best to freeze them whole and not wash them for this will keep ice crystals from forming on the seeds and pulp inside and softening them too much. The fruit can be washed once you take them out of the freezer to make your punch. When you get ready to make your punch thaw out the amount of fruit you need. 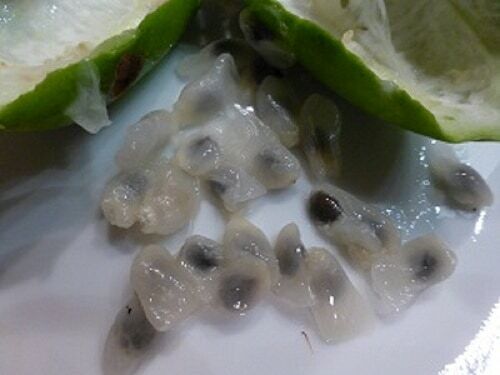 Break open the fruit and remove the inside portion with the flesh covered seeds and toss the rind. Place the pulp and seeds into a large container with about a third of the amount of water and sugar you will be using for the finished punch. Mash the fruit and sugar with a potato masher to release the flavors and juices. I like to let this sit for a little while and then mash again to give the sugar time to help release more flavors. Strain … lightly mashing the pulp covered seeds against the side of the strainer to get all of the juice. Add the remainder of the sugar and stir until dissolved. Add the rest of the water and place in the refrigerator to chill before serving. If serving right away just pour your punch over a glass of ice. By all means adjust the sugar to suit your taste. These measurements are approximations … the amount of fruit and sugar can be adjusted to suit your tastes and the amount of available fruit. A combination of stevia and sugar is always tasty as well. If you aren’t able to collect enough passion fruit consider adding some other fruit juice to make your passion fruit go a little further. The seeds can be washed free of pulp and sugar, dried, and saved for growing more passion vines. 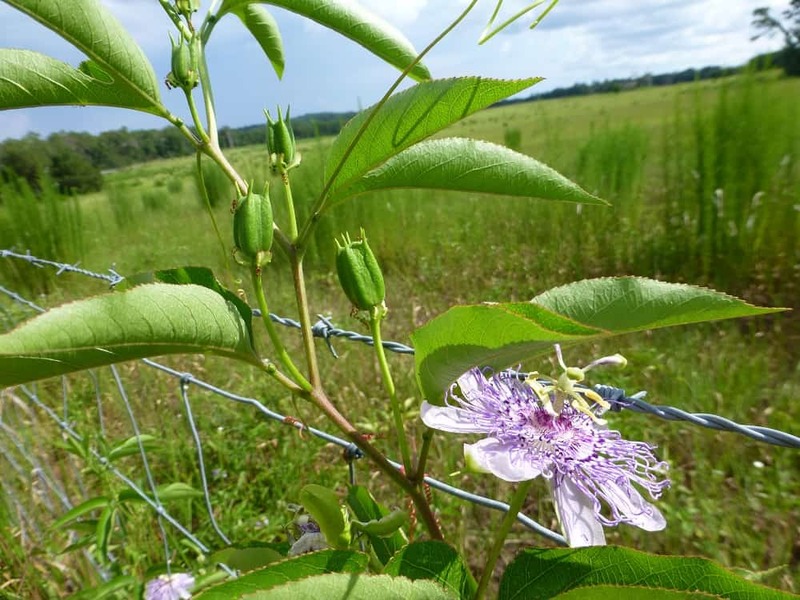 To find out more about native passion vines see my article Passion Vines Native to Central Florida.